The nuts include several plant species, shrub, oilseeds, and legumes, which have in common a lot of fats and proteins. Allergy to nuts is considered an essential condition since it starts at an early age and usually lasts a lifetime. 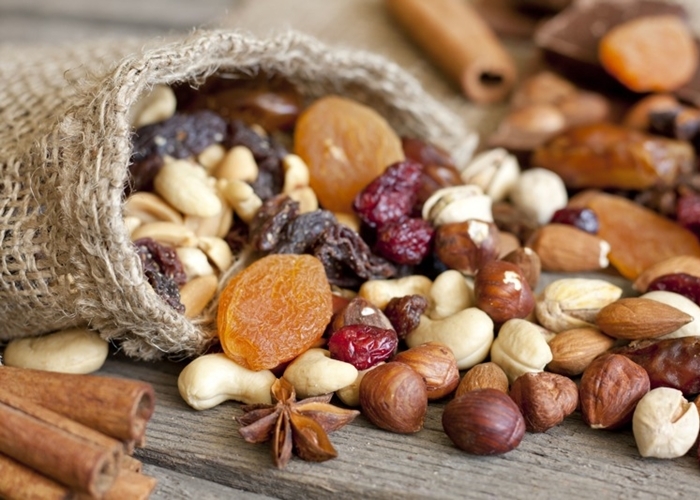 Any dried fruit can generate allergy, although the most common are nuts, hazelnuts, and peanuts because they are the most consumed in the world. Allergy to nuts is the leading cause of food allergy in adults and adolescents in Spain, and one of the pioneers in childhood. Since nuts are from different families, it is much more common for people to have an allergy to only one or several nuts. Anyway, there are those who also have the allergy to almost all real nuts. Factors influencing the occurrence of nut allergies are genetic, environmental, as well as geographical area and age. The nuts have powerful allergens, resistant to digestion and heat, which increases the allergenicity of various fruits. Although they usually belong to different families, they all have in common a group of proteins that are also used in the processing of various foodstuffs because of their emulsifying properties, and so they are hidden in different foods without being detailed in the label. This can cause allergic reactions to those who are allergic to nuts. Nuts are potent allergens and can cause symptoms within 30-60 minutes of eating them. Some of them are cutaneous (urticaria and swelling), digestive (vomiting, nausea, diarrhea, abdominal pain) and respiratory (a runny nose, asthma, sneezing, watery eyes). If you perceive these symptoms, remove the allergen from your diet and read the labels very well. In some products, you may find the phrase "may contain traces of nuts." If you have any kind of doubt, do not consume it. Nuts are high in fat and calories but are suitable for brokers because they have unsaturated fats, also called healthy fats, which lower the blood cholesterol level. Therefore, you will be able to know its benefits and characteristics. What nuts can a broker eat? Nuts, almonds, hazelnuts, peanuts, cashew nuts, pistachios, sesame seeds, sunflower seeds, chestnuts, pine nuts, pumpkin seeds, cashew nuts, dried fruits (figs, dates, dried apricots) ), etc. Nuts in their composition have low amounts of carbohydrates. They are energetic and rich in healthy fats, proteins and trace elements (zinc, potassium, iron). Provide Omega 3 fatty acids, which lower blood pressure and risk of cardiovascular disease. Those who have them incorporated are pecans, walnuts, pistachios and macadamia nuts. They contribute vitamin E, which is a powerful antioxidant that neutralizes free radicals and prevents the development of cancer, cardiovascular and degenerative diseases. Thanks to its fiber content, it avoids constipation and intestinal diseases. What are the main benefits of nuts? Nuts possess oleic and linoleic acid, which are capable of improving heart health and blood circulation, reducing the level of cholesterol in the blood. Also, they contain selenium, potassium, copper and iron, which like vitamin E, prevent the development of degenerative diseases. On the other hand, having calcium can be substituted for the vaccine milk and an excellent alternative for those who have lactose intolerance. Another benefit of nuts is that older adults can prevent osteoporosis and young people strengthen their bones and encourage their growth.